Can you feel the cool breeze of the holiday season already? 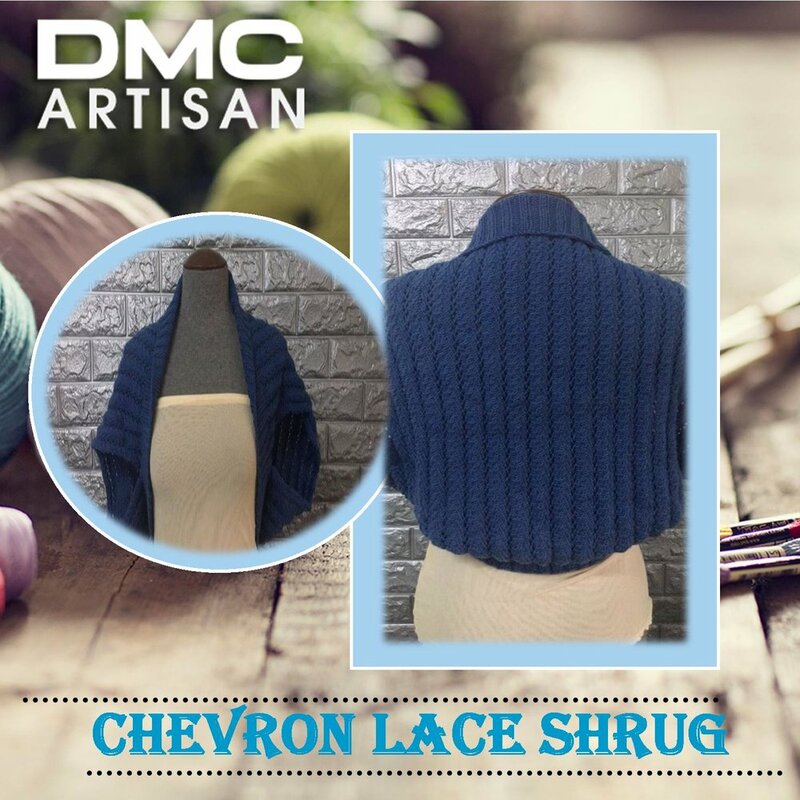 If yes, time to make yourself warm and comfortable with a personalized shrug using DMC Woolly. Be cozy, be crafty and be merry! Cast on 170 stitches with circular needle size 4mm/US 6 and color 075. Work the lace pattern for 19 inches ending with row 4. Knit 1 row at the same time picking up cast on edge. Place marker and join in the round. Work rib pattern (knit 2, purl 2) for 3 inches. Cast off. Cut enough yarn and with your tapestry needle pull it through the remaining stitches. Fasten off.